Yes . The only problem is having to panting another blob platoon. A squad of 4+ guardsman sounds too hard to pass up. Thanks for the advice. 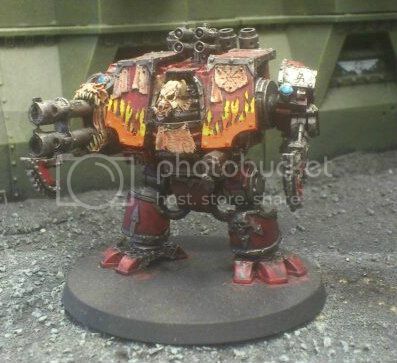 Right now my main IG tactic is to set a 50 man guardsman squad up with a chapter master, can anyone give me some advice on what I should use to back this up? This is my favorite way to run crisis suits. tyranid4glory wrote: GW books are never garbage, they are always fresh, exciting, innovative and have new and interesting lore never before seen before, as well as perfect rule systems and mechanics. I have to agree as much as it sounds like kissing up to GW. From the art to the rules no one makes rule books like GW. I ment everything on preorder. So that riptide.... I want it. This is the collest thing ever. Well GW just uploaded a tau video so I think you should wait. OMG Thats awesome, good job! Anyone up for grilled tau from the good old fashion imperial exterminatus. The emperor would be proud. Topic: Whats the deal with Fast attack? Re: Whats the deal with Fast attack? I have to disagree with potato I use 3 of them 2 burst cannon and 1 fusion blaster. Just send them in in a single squad and the enemy will have to make a choice kill the guy that can hurt their guys more or the one that can kill their veichals.